William Everett Preston was born in 1946 in Houston. After his parents split up, William and his mother moved to Los Angeles. He was brought up in the African-American gospel tradition and was a child prodigy learned to play piano as a toddler. William was soon performing as a child entertainer but away from the stage and unchaperoned, young Billy was subjected to sexual abuse by members of the touring company. His mother refused to believe him, and failed to protect him and this had a profound effect on the performer in later life. Aged ten, he was playing organ onstage. and served as the choir director at his mother’s church where he would regularly play backing for gospel singers such as Mahalia Jackson, James Cleveland and Andraé Crouch. Billy Preston (aged 11) dueted with Nat King Cole on national television. They sang Fats Domino hit, "Blueberry Hill." He also played the younger, W.C. Handy in St. Louis Blues (1958), starring Nat King Cole. Destined for stardom, the fifteen-year old Billy started touring in Little Richard's band and being a virtuoso keyboard player he played organ. It was while performing Hamburg, Billy Preston first ran across The Beatles. When he returnded to the States he played the organ on Sam Cooke's Night Beat album, and then recorded his first solo album, 16 Yr Old Soul. The album features Tommy Tedesco (guitar), and Earl Turner (drums) among others. In the mid 60s, Billy became a regular on the televison and appeared on Shindig (ABC). He was both vocalist and pianist, and built an enviable reputation as a session musician. He released The Most Exciting Organ Ever (1965) before joining Ray Charles' band in 1965. In 1965, he released a compliation album, ‘Early hits of ‘65’, Early Hits of '65 and featured soul versions of recompiled singles and hits from that era. Four years later , Billy signed to Apple Records and released the album ‘That's the Way God Planned It,’ produced by George Harrison. Over the years, the musicians had become great friends and Billy appeared on several of Harrison's 1970s solo albums, including All Things Must Pass (1970), and Concert for Bangladesh (1971). During the fraught recording sessions for Let it be , George Harrison, dropped out to see Ray Charles in concert. George invited Billy Preston back to Abbey Road. The Beatles liked him especially for his easy-going personality which helped ease the tensions. During the recording, Billy played Fender Rhodes electric piano and a Lowrey DSO Heritage organ. He performed with The Beatles on their last public performance, on the rooftop of Apple, on 30 January 1969. Later, when the single, Get Back/Don’t Let Me Down was released it was credited to "The Beatles with Billy Preston". Billy along with Tony Sheridan, were the only two non-members to receive a performance credit on a Beatles record. Lennon was in favour of making Billy Preston a full member of the band but McCartney disagreed, saying there was little point as the band was close to splitting. Billy Preston played uncredited on The Beatles' Abbey Road album. He helped Stephen Stills with his solo album in 1970, and gave permission to Stills to use "Love the one you're with" which was a frequent remark made by Preston. ‘Love the one you’re with,’ had Dave Crosby and Graham Nash on background vocals became a Top Twenty hit on the Billboard charts in 1971. From 1970, Billy Preston played keyboards (including piano, organ, clavinet and various synthesizers) for the Rolling Stones, sometimes alongside pianists Nicky Hopkins and Ian Stewart, and featured on Sticky Fingers, Exile on Main St, Goats Head Soup, It's Only Rock 'n Roll and Black and Blue. He was the band's primary touring keyboardist from 1973 to 1977. They eventually parted company mainly due to a disagreement over money. He continued to play on solo records by Stones members and made appearances on the band's 1981 Tattoo You and 1997 Bridges to Babylon albums. Billy became friendly with Sly Stone, and played sessions on several of the group’s albums including “There's a Riot Goin' On” in 1971. After, Sly Stone started an affair with Billy’s fiance, Kathy Silva. this destabilised the performer who began to question his sexuality seeking solace in cocaine abuse. Billy threw himself into work and co-wrote, "You Are So Beautiful", with Dennis Wilson (Beach Boys), which became a major hit for Joe Cocker in 1974. Billy Preston finished 1975 supporting The Rolling Stones on their Tour of the Americas. Sometimes Billy’s personal beliefs were at odds with the attitudes and musical expressions of the secular world of rock & roll in which he worked. He happily contributed to John Lennon’s atheistic song "God" but was reported to have reservations when performing "Sympathy for the Devil"
His solo career started to decline after 1976. He swiched recoding labels and in 1980, had a hit with with Syreeta Wright on the ballad "With You I'm Born Again", which reached number 4 on the US charts. In 1984, he left Motown to focus on session work and late night televsion work. Behind the scene, Billy was battling addiction to alcohol and cocaine. Ringo Starr asked him to joint the All-Starr Band and then in 1991, after the death of Stan Szelest, Billy was invited to become a member of The Band. Unfortunately he could not accept because after being found guilty of a series of offences he was sentenced to nine months at a drug rehabilitation center and three months of house arrest. Six years later, he was sentenced to three years in prison for violating probation. In 1998, he pleaded guilty to insurance fraud and agreed to testify against other defendants in an alleged scam that netted about $1 million. In prison, he reaffirmed his Christian faith and on release returned to recording, reuniting with the Rolling Stones on “Bridges to Babylon”. In 1997, Billy Preston recorded the album You and I, in Italy, with Italian band, Novecento. Back in the States he appeared in the film, ‘Blues Brothers 2000.’ He was touring when he heard the news of the death of his friend, George Harrison in 2001. Despite ill health, he proudly performed at Concert For George, (2002) at the Royal Albert Hall, where he played My Sweet Lord and Isn't It A Pity. Back in the States, he appeared on the Johnny Cash album American IV: The Man Comes Around (2002) playing piano on "Personal Jesus" and "Tear-Stained Letter". In the same year, he received a kidney transplant but his health continued to deteriorate and he was soon on dialysis. In 2004, he toured with the Funk Brothers and then with Eric Clapton in Europe and North America. Billy Preston performed as a jazz organist on Ray Charles' Genius Loves Company, an album of duets, on the song "Here We Go Again" with Charles and Norah Jones. Billy continued to perform amd record in 2005. He recorded "Go Where No One's Gone Before", for the anime series L/R: Licensed by Royalty; and played clavinet on the Red Hot Chili Peppers’ "Warlocks” for their Stadium Arcadium album (2006). His final recorded contributions were the gospel-tinged organ on the Neil Diamond album 12 Songs (2005), and his keyboard work on The Road to Escondido (2006) by JJ Cole and Eric Clapton. His final public appearance was at a 2005 press junket in Los Angeles, for the re-release of the Concert for Bangladesh film. Afterwards he performed Give Me Love (Give Me Peace On Earth), My Sweet Lord and Isn't It A Pity with Ringo Starr and George's son Dhani. Billy was encouraged to entered a drug rehabilitation clinic in Malibu, California, but suffered pericarditis leading to respiratory failure that left him in a coma. 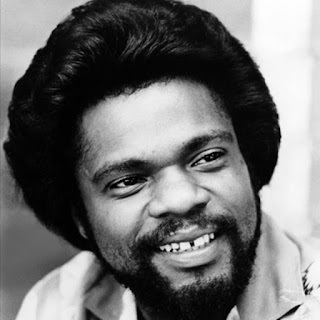 Billy Preston died of complications from kidney failure.